Here at Mirren Property Investments, we wanted to let you know about a new development in Bonnells Bay (Lake Macquarie, NSW) that has started with over 60 new townhouses under community title being built, some with water views! This could be an ideal SMSF Property Investment. Known as ‘Scarborough Estate’, this new development for investors and early retirees is set in a very desirable and attractive area, close to public transport and first class medical facilities. It is also a very high growth area, one that will be sought after in the near future. 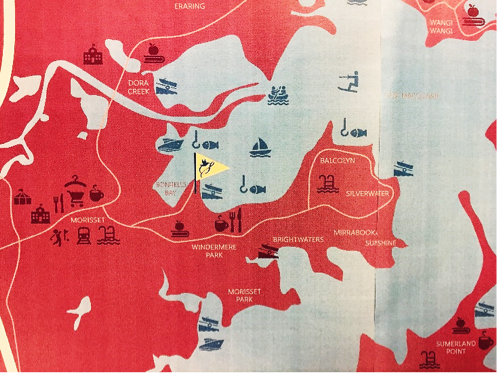 Scarborough Estate is located on the peninsula east of Morisset, complete with its own sandy inlets and secluded bays, surrounded by clear blue water. It is an area that you can relax in or enjoy the huge variety of activities available. It is also located close to Trinity Point, where construction for the $178million marina has begun. Beginning in the low $500,000 mark, these townhouses are selling fast! Purchase one of these prime properties as an SMSF Property Investment and reap the tax benefits associated. Set yourself up with a nice nest egg ready for when you retire and give Mirren Property Investments a call on (02) at or complete a contact form for an obligation-free discussion. Also don’t forget to check out our free Property Calculators.